The Seaward Bush railway ran from Invercargill to Tokanui, but took its name from a tract of bush near Invercargill, where there is still a scenic reserve. 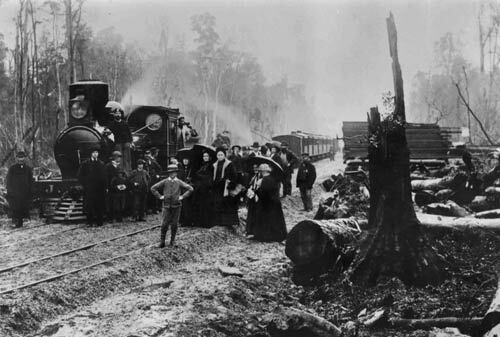 The first section of 5.5 miles (9 kms) was opened in July 1886. There was a mild drizzle on the day, reported the Otago Witness, but it was ‘not particularly wetting’, and more than 450 travellers made the journey to the end of the line ‘at the exceedingly moderate figure of sixpence return’.